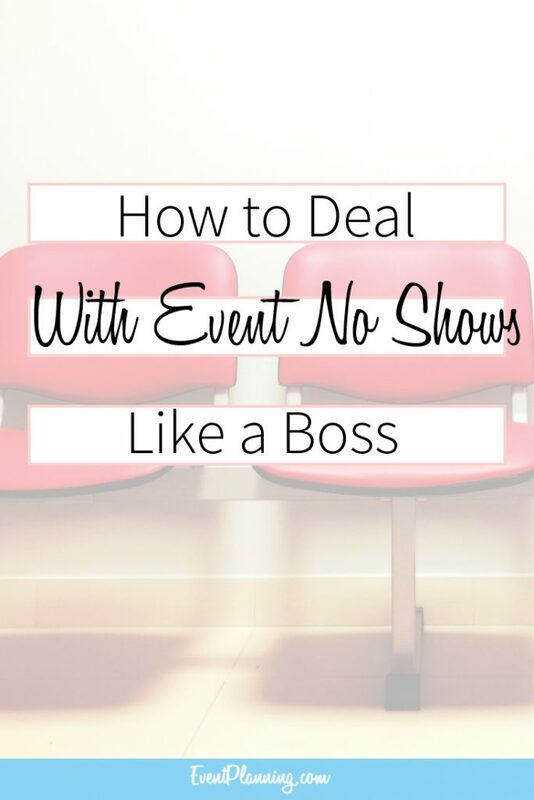 When organizing an event, no-shows are a major concern. Not only can they affect the overall budget but can decrease profits as well. Statistics in this article, reveal that there is a ten percent no-show rate for paid events and a fifty percent no-show rate for events that are free of charge. The sooner your potential guests know about your event, the better. As soon as your venue and other details are secured, send out your invites. Guests will be able to save the date and your attendance will be larger. Build demand for the event to encourage registration. Event planner, Claire Channell, suggests creating a sense of urgency and exclusivity for your event. Use terms like, “Seats are limited” when promoting and marketing to potential guests. When your attendants make a verbal commitment, they feel more obligated to follow through. According to this article, during the registration process, require guests to submit ideas for content or presentations. This will make them feel like their opinions are valuable to the cause and will be more likely to attend. Once a guest reserves their space with hard earned cash, they generally will stick to their commitment. Implementing a non-refundable policy for a specific amount or the entire cost will deter people from canceling at the last minute. This article recommends keeping in touch with guests regularly, to keep the event date fresh in their mind. If you have a waiting list, guests who decided not to attend can give up their space to another who will be available. Another great tip is to require guests to check-in online, twenty-four hours before the event. You will have an exact headcount and can refer to your waiting list if you have new seats than open up. There are mobile apps that make this type of registration an easy and effective process. Occasionally, a speaker, special guest or entertainment fail to show up after committing to your event. This can throw the entire schedule off course and make for a stressful situation. The best way to handle this type of no-show, is to plan ahead and have back up vendors in the event of an emergency. Research your prospective vendors such as disc jockeys and entertainment, to ensure that they have the extra man power available to send in a replacement if there is any issue. Be sure to get the confirmation in writing. Invite an extra speaker to join the event in case of a no-show. You will be able to fill the time gap and your guests will appreciate that there was someone to take the place of the original. Ultimately, there is no way to eliminate every no-show. It is inevitable that illness, travel interruptions or other issues will arise, but they can definitely be reduced by following the tips above. Keep momentum in the excitement as your event draws near. Schedule reliable vendors and speakers who have a good track record and check their references to be sure they are dependable. Utilize all of the online tools available and keep in consistent contact with potential guests and vendors. Doing so will keep the seats filled, making your event successful and memorable to all who attend. For more information on hosting a corporate event, check out: 5 Essential Items to Have for Successful Conferences and 7 Elements that Make for a Good Corporate Party.